Choosing the appropriate triptan and taking the correct dose at the right time are essential for the best results. 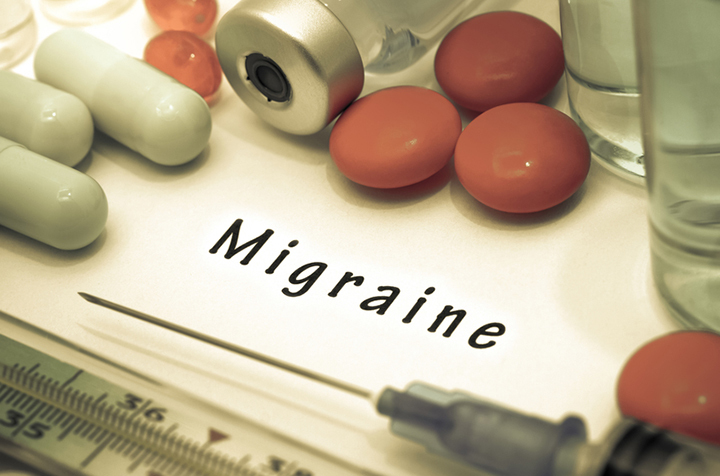 Triptans have been proven to be effective for the treatment of migraine, but only when following certain guidelines. Triptans are effective for the treatment of migraine headaches, according to one of the most comprehensive review of studies ever published. The findings, based on the results of 133 trials between 1991 and 2012, were reported in a 2015 edition of the journal Headache, the official publication of the American Headache Society. The study compared the effectiveness of triptans alone and in combination with other drugs. Standard-dose triptans were associated with better outcomes than ergots (medications containing chemicals that come from a fungus), non-steroidal anti-inflammatory drugs, and aspirin. Triptans, now considered to be the first-line therapy for many patients with moderate to severe migraine, are serotonin receptor agonists. They work by selectively constricting blood vessels that have expanded during migraine episodes. The drugs do not prevent migraine attacks, but the study showed that early intervention with triptans rapidly reduces headache pain, lessens the likelihood of the headache recurring, and limits side effects, including nausea, vomiting, and sensitivity to light and sound. Eighty percent of those who take the prescribed medication early (when the pain is milder) become pain free within two hours, compared to 36 percent who get relief when the drug is taken later in the attack. Seven (Plus One) Triptans Currently Available in U.S. Seven currently available triptans approved by the FDA, plus one drug that is a combination of a generic triptan (sumatriptan) and naproxen. No single triptan is more effective than another, but some patients respond better to a particular triptan and its correct dosage than others. Here is the list. Triptans are classified as fast acting, intermediate acting, and long acting, depending on the drug, the dosage, and how the person responds. Each has advantages and disadvantages. Frova and Amerge, for example, have a slow onset (take longer to work), but longer-acting results. Fast-acting and ultra-fast triptans (Imitrex) take effect sooner, but relief doesn’t last as long. Imitrex has a 70 percent response rate. As a group, all triptans have a headache recurrence rate of 20-45 percent. It is possible to match individual patient needs with specific characteristics of a certain triptan. They are available in tablets to be swallowed whole, dissolving tablets, patches, nasal sprays, and injections. Talk with your doctor to determine which one works best for you. If your migraines are infrequent, mild, and non-disabling, try over-the-counter medications first. Your doctor may suggest a triptan plus an OTC pain medication. People who should not take triptans include those with coronary artery disease, high cholesterol, or have had a heart attack or stroke, and those who presently have uncontrolled blood pressure. Men older than 40 and women over 55 are at greater risk for dangerous side effects. Others are those who smoke, are obese, have diabetes, or are pregnant. Again, check with your doctor regarding other factors that might preclude your use of triptans. Triptans have been proven to be effective for the treatment of migraine, but only when following the guidelines regarding the exact triptan type, dosage, method of taking the medication, and the individual who needs medical help. 3 Women are three times more likely to get migraine than men. What’s the Difference Between Sinus Headache and a Migraine Headache? a heart attack, anti inflammatory, anti inflammatory drugs, artery disease, blood pressure, brain, cholesterol, coronary, coronary artery disease, diabetes, eletriptan, fungus, headache pain, headaches, heart attack, high cholesterol, home remedy, home remedy for, home remedy for migraine, melatonin, melatonin benefits, migraine, migraine headache, migraine headaches, migraine symptoms, migraines, non steroidal anti inflammatory drugs, pain, pain medication, serotonin, severe migraine, side effects, sinus, sinus headache, stroke, triptans, types of headaches. I used triptans and they worked for a short time only. They took Migraine away as your story says, however you don’t mention that the migraines come back, because of taking these triptans, with avenge and you end up in a vicious circle. I tried most medication and in the end I wanted to take the lot and have done with all the pain and misery. I told my husband that I felt this way and asked him to take all the medication back to the chemist and I went cold turkey. That was hard! I only took 2 Paracetamols/ 1000mg and 1 Ibuprofen/600mg together at odd times when I just couldn’t stand the pain. It worked ! I ended up much much better, less frequent attacks. I got referred to a neurologist who found out I was low in Vitamin B12 ,also the other Vitamin B’S like Folic acid and also vitamin D , magnesium. I now receive Hydroxocobalamin injections every month and take supplements to keep the balance that is required amongst these vitamins and minerals. This has given me my life back. The odd migraine , much less severe and shorter in time.I hope UHN isnt affilliated to the pharmaceutical industry and that this site is just a marketing site for the use of medication , that would be a pity as there is useful information on your site. I thought you might be interested in this article on https://universityhealthnews.com: Do Triptans Work for Migraine Headaches?